Denmark's second largest city and port. It is a commercial port so had to be transported by shuttle bus to outside of port gates. 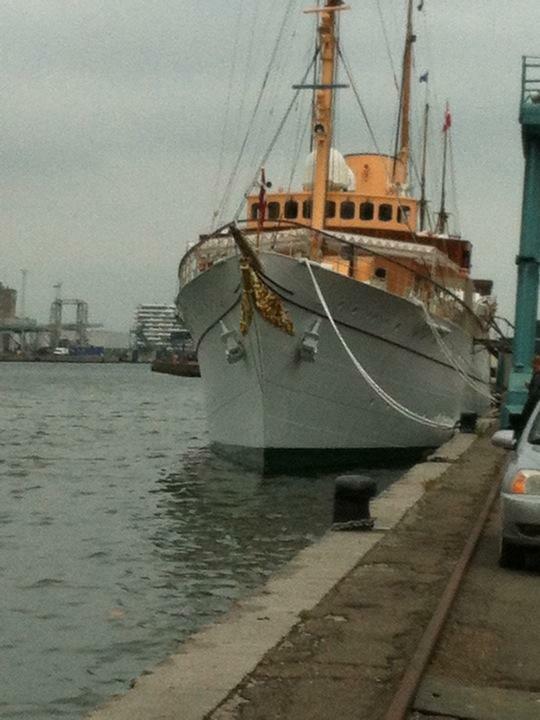 The royal yacht was moored up but no sign of Fred or Mary! Walked around the town and saw the cathedral (Denmark's longest and tallest but not large by most standards in Europe)! Strolled along the Stroget (lots of shops and cheaper than Copenhagen). The most interesting buildings were the art museum which is 10 floors high and has a large glass circular walkway at the top which lights up with different colours; and the Icebergs (an apartment building designed to appear like an iceberg). A very striking building which we saw from the ship.